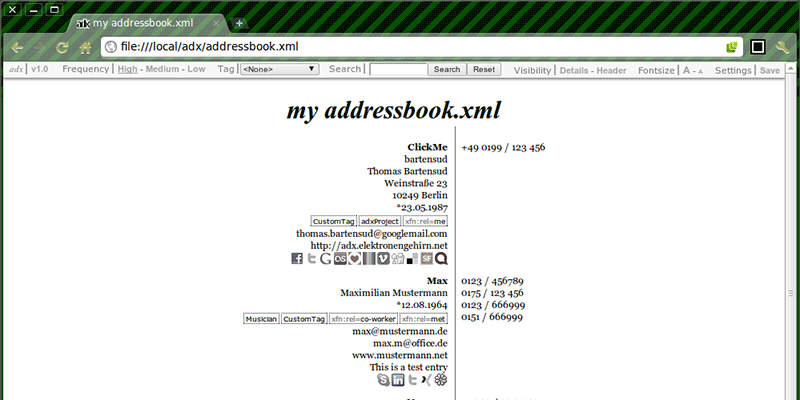 adx is a minimalistic but full-featured address book in your web browser. It is a standalone and portable web app (online and offline). All you need to access this program on your computer is a web browser and you will have a fully featured address book running in your browser window.